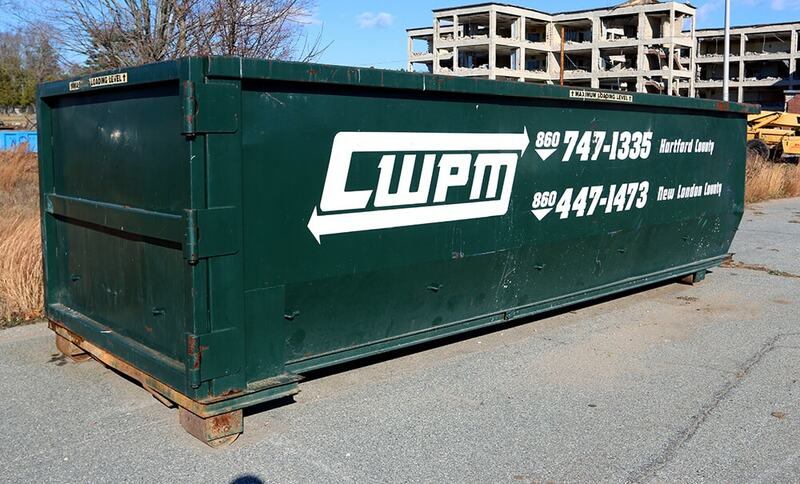 Dumpster rentals are available from 2 cubic yards up to 50 cubic yards. This allows us to provide construction and demolition debris removal for big construction projects, as well as waste removal services at small and large businesses. 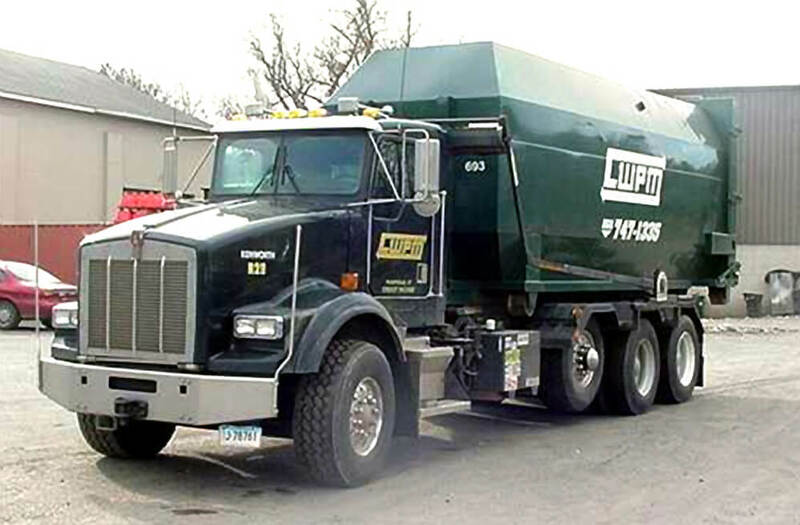 Front load dumpster rentals range in size from 2 cubic yards up to 10 cubic yards. These are most commonly used at commercial businesses for refuse or recycling. For large volumes of refuse, or recycling materials, we offer a full range of compaction systems. These units range in size from 6 cubic yards up to 40 cubic yards. We can provide the equipment, installation, maintenance, and service. In the event of an equipment failure, we offer 24 hour on call service for repairs. Self-Contained Compactors are an all in one unit in which the compactor and the container are built together as one unit. When the compactor needs to be emptied, the entire unit is removed and returned. These units are sealed to provide a leak proof compactor. These are ideal for customers who have wet trash, such as restaurants and nursing homes. 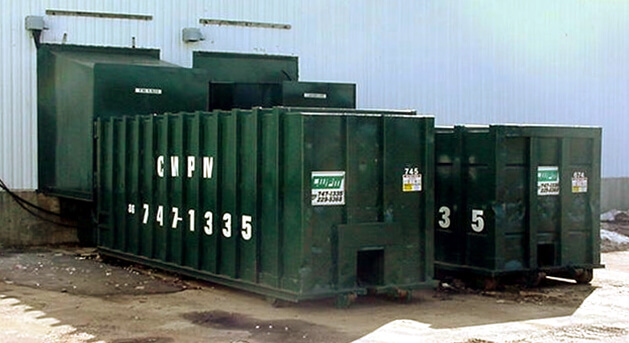 These compactors range in size from 12 cubic yards up to 35 cubic yards. These units are emptied with a roll-off truck. VIP Compactors are a vertical compactor unit with a front load container placed below the unit. These units are compact and are ideal for places such as fast food restaurants, or where there is limited space. The sizes of these units are either 3 cubic yards or 8 cubic yards. Break-away compactors are two separate pieces. The compactor unit is separate from the container. Once the unit is installed, there will be a container that attaches to the unit. When the container is full, CWPM detaches the container, empties it, and returns the container. These containers range in size from 20 cubic yards up to 50 cubic yards. The break away compactor is used primarily for dry trash or materials such as cardboard or paper. These compactors are also emptied with a roll-off truck. 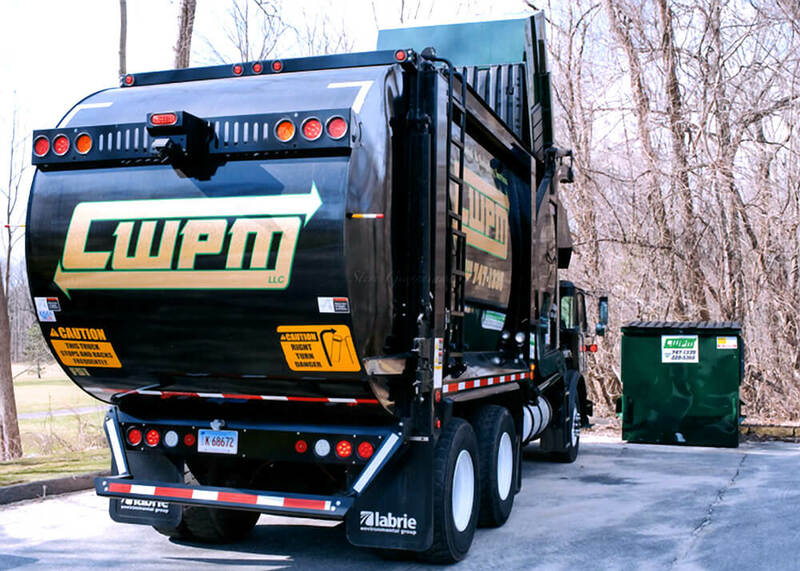 Let CWPM’s expert staff evaluate your company’s waste and recycling needs and find the right solution for you. Contact us today at 860-747-1335.